Weight - 5lb 8.8oz. 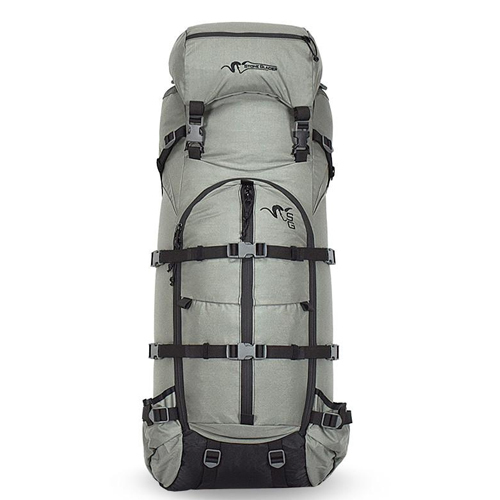 on Medium Xcurve, bag only weighs 2lb 6.72oz. The Sky 5900 blends function of a front panel zip with the versatility of the proven Sky design. The Sky 5900 weighs 5.55lbs on a Medium Xcurve Frame. 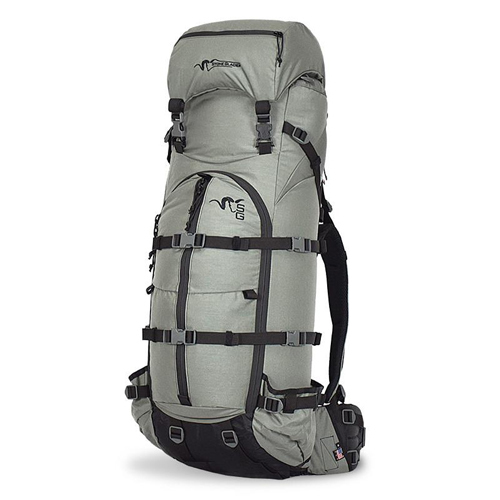 The large front panel zip allows quick access to virtually the entire pack while the Sky design offers excellent compression. 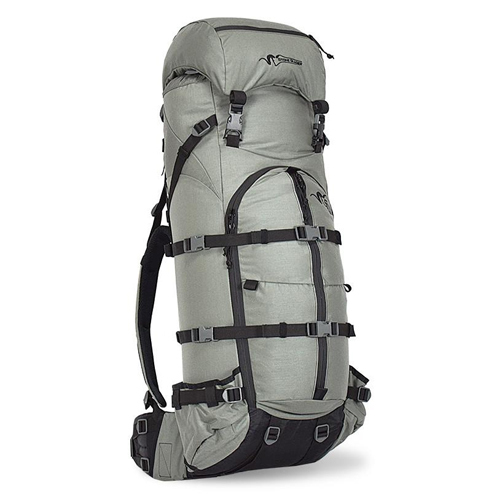 The Sky 5900 can go from a 4,300 cubic inch bivy mode to a full volume of 5900 cubic inches with the Sky Lid. Add the load shelf volume of 2,500+ cubic inches to bring the overall max volume to 8,000 cubic inches. Anything from day trips to extended trips, the Sky 5900 has you covered. 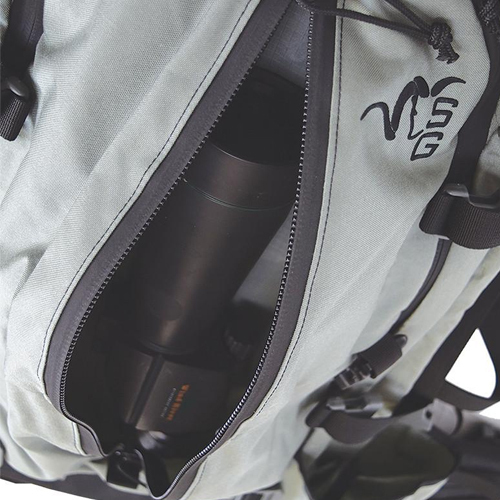 A 22" front vertical pocket is incorporated for quick access to a spotting scope, sized to fit the largest of glass. 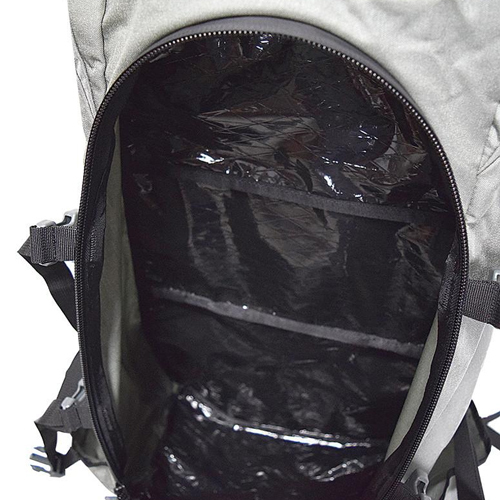 Attachment points for Swing Out Pockets are located just inside the zipper for quick access to small items needed along the trail. 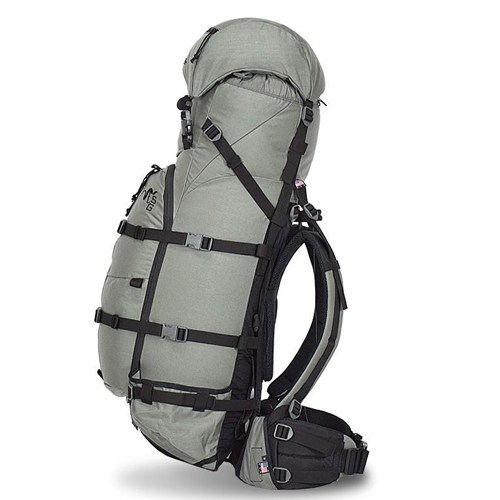 Large external open top pockets are located on each side of the pack for the carry of a tripod, water bottle, or the stock of a rifle.